New York: Del Close Marathon ~ Learn, Live, and Explore! I've done a lot of New York City weekend trips, but this past weekend may have been one of my favorites. 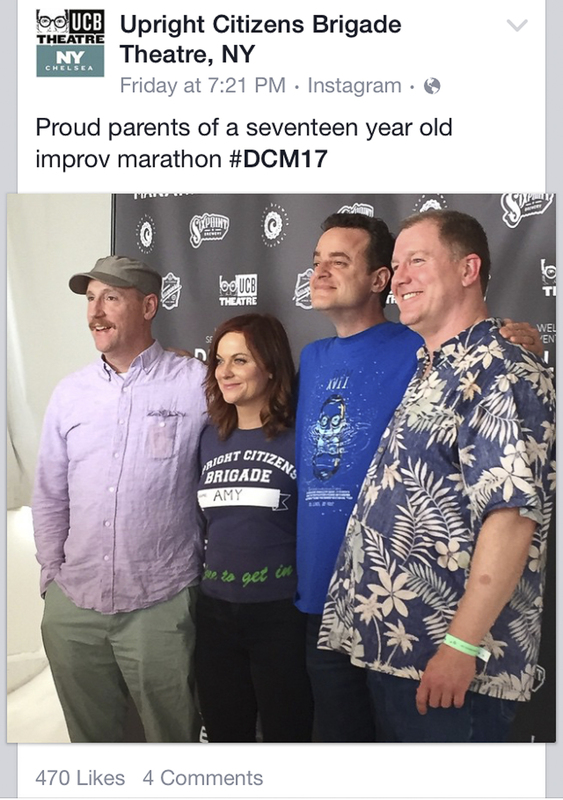 This weekend was the 17th Annual Del Close Marathon. 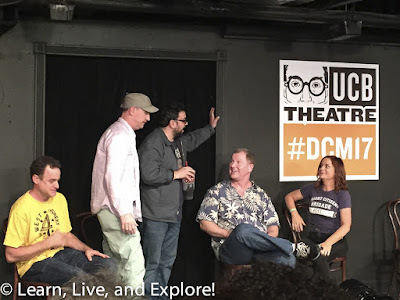 For those who are fans of or are part of the world of improv comedy, the name Del Close should be a familiar one and the Del Close Marathon may also be on your radar. If either one of those is the case, then bear with me here. 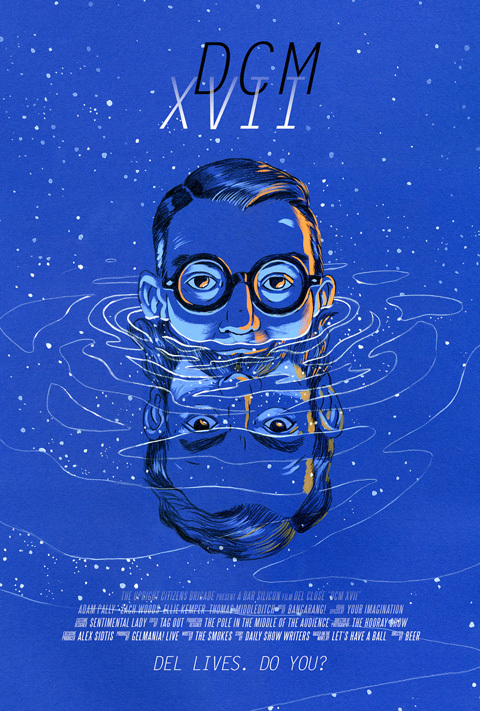 First, Del Close is considered a father of improvisational comedy. He began his career in the late 1950s performing with the famous Compass Players before moving to Chicago to perform and direct at Second City, where he worked with people like John Belushi, Dan Aykroyd, and John Candy. His legacy, however, emerged from his teachings and the influence he had coaching top sketch and improv comedians in the 1980s and 1990s, many of whom found their own fame through avenues such as Saturday Night Live or Comedy Central (Mike Myers, Tina Fey, Chris Farley, Stephen Colbert, and many more). 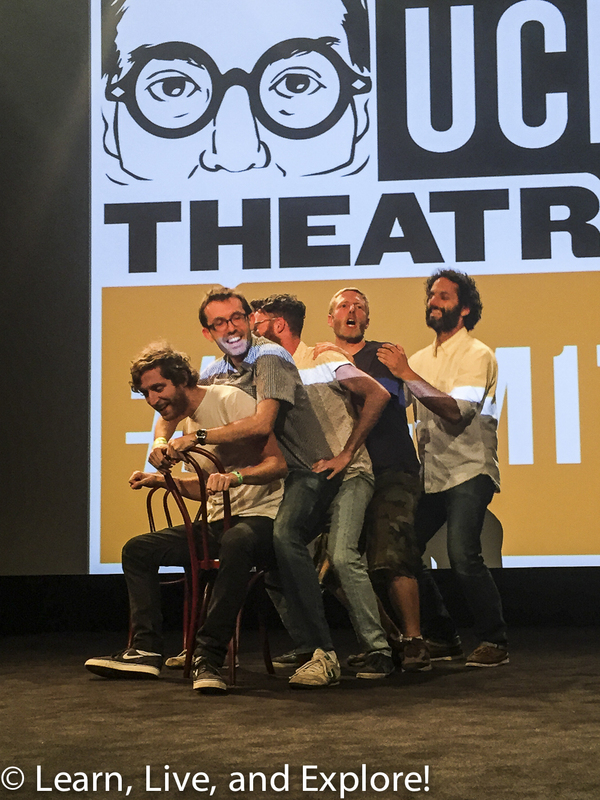 Del Close co-wrote a manual for improvisational techniques with his partner, Charna Halpern, called Truth in Comedy while teaching at Chicago's ImprovOlympic (now better known as iO or iO Chicago). That manual is still considered one of the best sources for written instruction on best practices for improv and contains lessons that transcend the comedy environment. 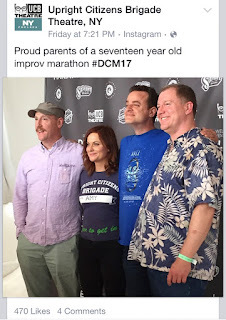 Twenty five years ago, some of Del Close's students at iO formed the Upright Citizens Brigade sketch and improv comedy troupe - most notable members being Amy Poehler, Matt Besser, Matt Walsh, Ian Roberts, Adam McKay, and Horatio Sanz. After moving the troupe to New York City in 1996, their hard work not only landed them a UCB television show for three seasons and their own individual successful careers in comedy - SNL, Veep, Parks and Recreation, etc. - but the UCB Theater has become the top theater for performance and for training in New York City. It also has a major following at the Los Angeles annex - UCB LA. 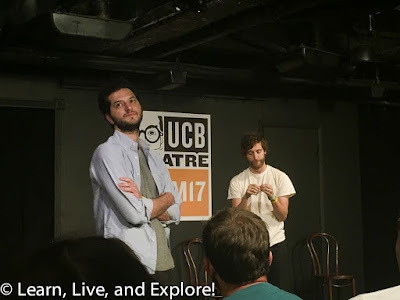 While Chicago may still reign supreme for improv comedy and teaching, UCB is a very close second - I would say even surpassing The Groundlings in the Los Angeles arena. 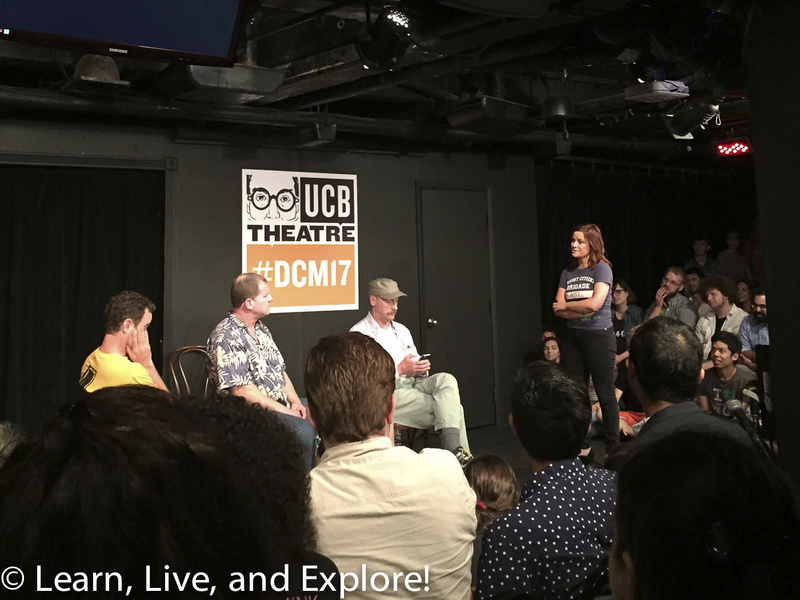 The Del Close Marathon is an annual weekend NYC event that is in it's 17th year. This year, the fun began late Friday afternoon with the press conference. OK, it was less of a press conference since the team of Poehler, Besser, Walsh, and Roberts had been doing press leading up to the event, rather a fun introductory event that was more like an improv show for fans there for the weekend and for performers on the weekend's schedule. 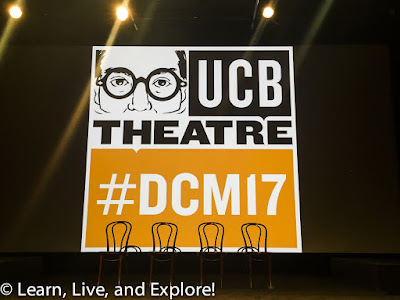 This year, that schedule included over 630 shows on nine stages - two of those stages (UCB Chelsea and UCBeast) running 24 hours a day for the duration. Popular alumni who have found success in TV and film returned to the city to perform with old troupes and to form new crazy teams. Other performers were accepted through a formal submission process and traveled from all over the U.S. (Washington DC, Boston, Nashville, etc.) and from overseas (London, Finland, etc.). 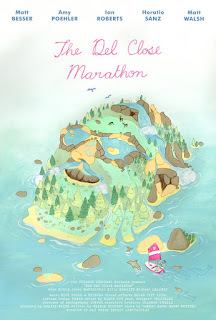 Die hard marathoners know the tricks to the event. The first trick is to know when tickets go on sale for the premium shows. 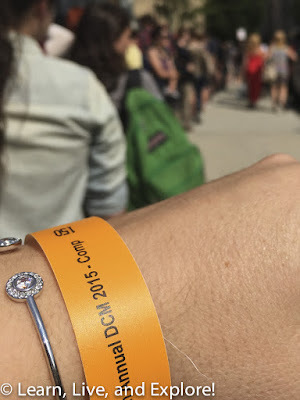 Most shows at the theaters are covered under the admission wristband that is for sale at the DCM box offices ($35) on the first marathon day. The premium shows, however, were about $20 additional for each show - unless you wanted to try your luck getting in for free through the standby line. 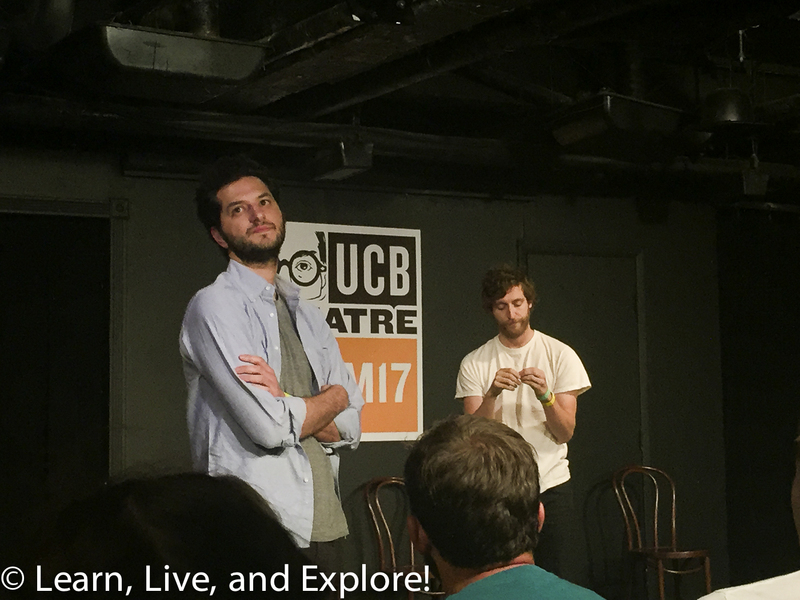 The hottest premium ticket is, consistently, for UCB's most popular troupe: ASSSCAT. 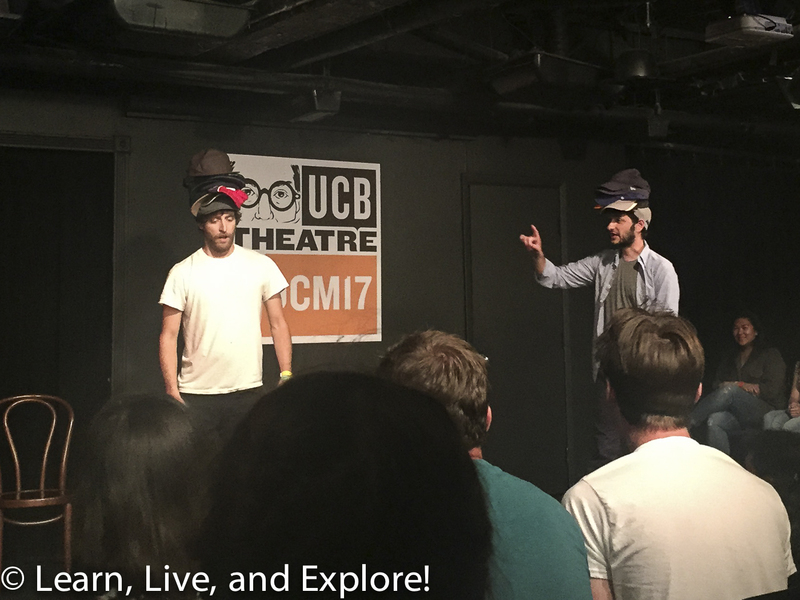 This is the longest running show at UCB and is performed in both LA and NYC every weekend. For the marathon, you can expect the famous founders to be in that cast. Other premium shows were for other popular UCB troupes (Convoy, Gravid Water, Baby Wants Candy, fwand, etc. 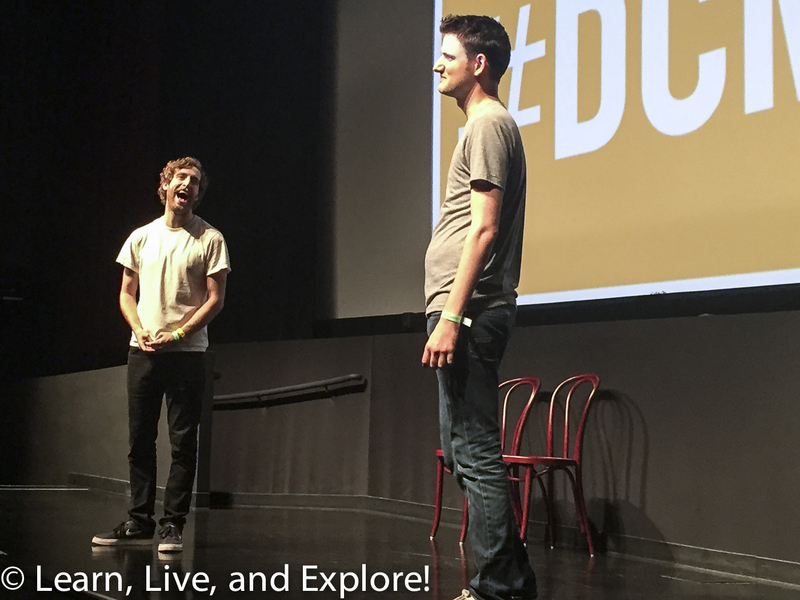 ), writing staff from great comedy shows (The Daily Show, Key & Peale, and Comedy Bang! Bang! ), or highlighted successful alumni (Nick Kroll, Horatio Sanz, etc.) and guests. Social media is the next piece of advice. Del Close Marathon has their own app for phones that have schedules and performers. It's a great way to plan out your time before the weekend. 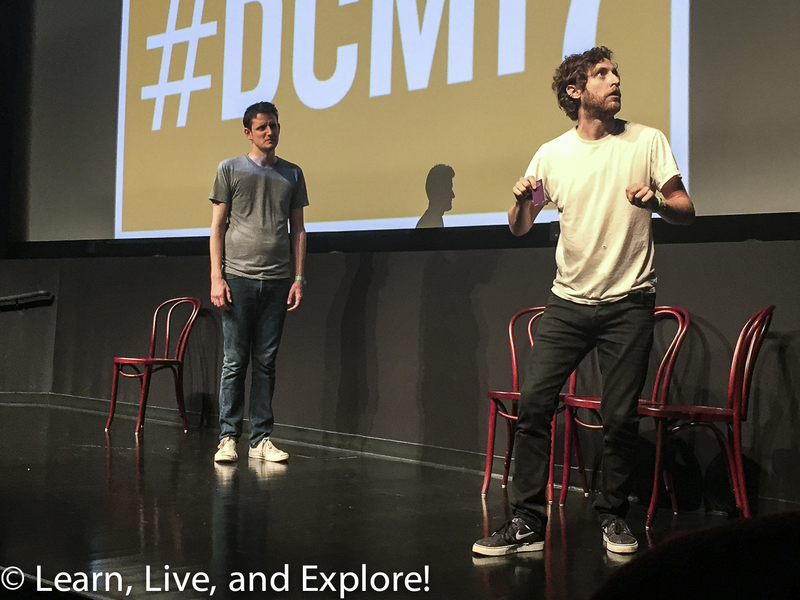 Next, follow @DCM_lines on Twitter so that you can get regular updates on how many people are in line at each of the venues. This actually ended up being influential on our decisions for Saturday night. Before I forget, I want to apologize for my less than ideal iPhone photos coming up. 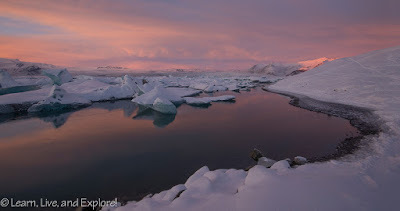 When one is used to the better quality photos from a DSLR and good lens, these photos make me want to cringe. 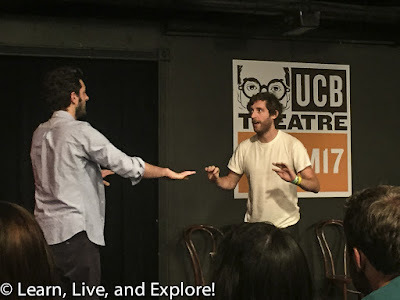 Anyway, going back to the Friday press conference I mentioned earlier, that event was held at the UCB Chelsea flagship theater and was included in the wristband admission, as were all UCB Chelsea shows all weekend. 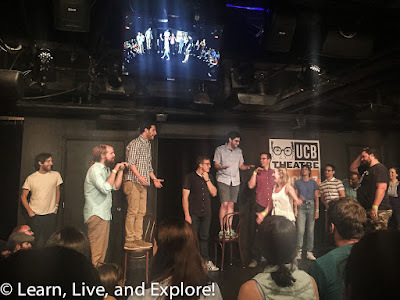 The line for UCB Chelsea was consistently the longest at all times over the weekend because typically most of the best shows were scheduled for that stage. The line began on Friday morning. I had friends who planned to get there at noon and wait for many hours with snacks and games on the sidewalk (and umbrellas for the sun). Many people want to know when to get in line, but it's just a gamble that is contingent on a bunch of factors and varies every year. The theater, located in the basement of the building, only has capacity for maybe 150 people - seating, seated on the floor around the stage area, and standing room combined. If you do not get into the theater, you have to wait for room to become available. After the press conference, an above average turnover exists because of the departing press members, so you may still get into the first block of shows if you missed out on the press conference. People inside the theater are only told they have to leave at designated theater cleaning times. 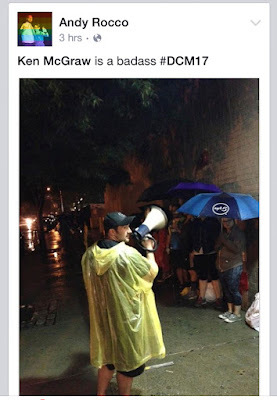 Typically, the audience will stay for the entire block, so the line outside will have first priority for the next block of shows, as the exiting audience must go to the end of the line. Fortunately, luck was with me this weekend, and I got into the theater for the press conference and stayed through the first block. First, the press conference was amazing. Amy Poehler was missing from the founding four, but that didn't stop them from telling stories which then inspired an improv scene that involved playing Twister with a directionally-challenged person who didn't know right from left. As this was being performed, I heard someone walking fast behind stage to my left and voicing her anger about something. Seconds later, Amy Poehler comes on stage and (jokingly) gives the two Matts and Ian a hard time for starting the press conference without her, not waiting two minutes as she was stuck in traffic. From that point on, it was an hour and fifteen minutes of laughter and Q&A. After a brief 15-minute break, the first Del Close UCB Chelsea block of shows commenced, with each lasting 30 minutes. First up was Five Dudes that included Bobby Moynihan (SNL), Charlie Sanders, Chris Gethard, Eugene Cordero, and Zach Woods (The Office, Silicon Valley). They had a very fast-paced and physical show that made me empathetically feel exhausted for them! The second troupe to perform made my mouth fall open with awe. 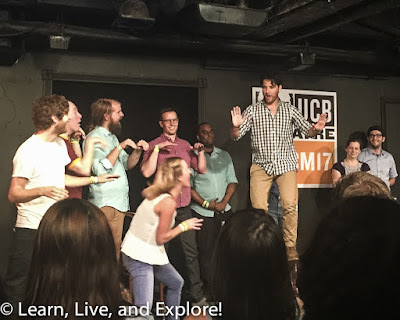 North Coast is a NYC-based Hip-Hop improv comedy group that makes up raps on the spot then uses them to influence and exit scenes. North Coast was joined by Chris "Shockwave" Sullivan, who is one of the best beatboxers in the country and a member of the popular hip-hop comedy group Freestyle Love Supreme, created by Tony Award winner for In The Heights, Lin-Manuel Miranda (now on Broadway starring in his newest creation, Hamilton). 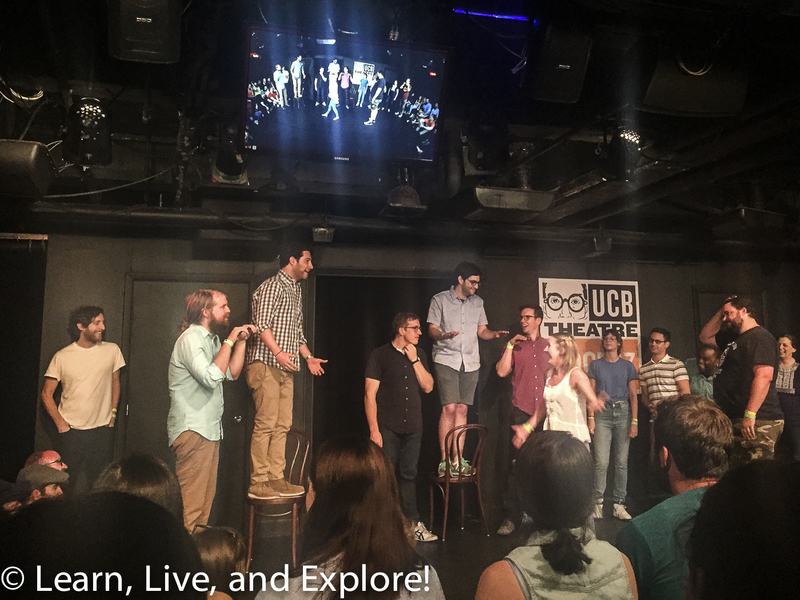 The third troupe was one of UCB LA's most popular shows - JV. 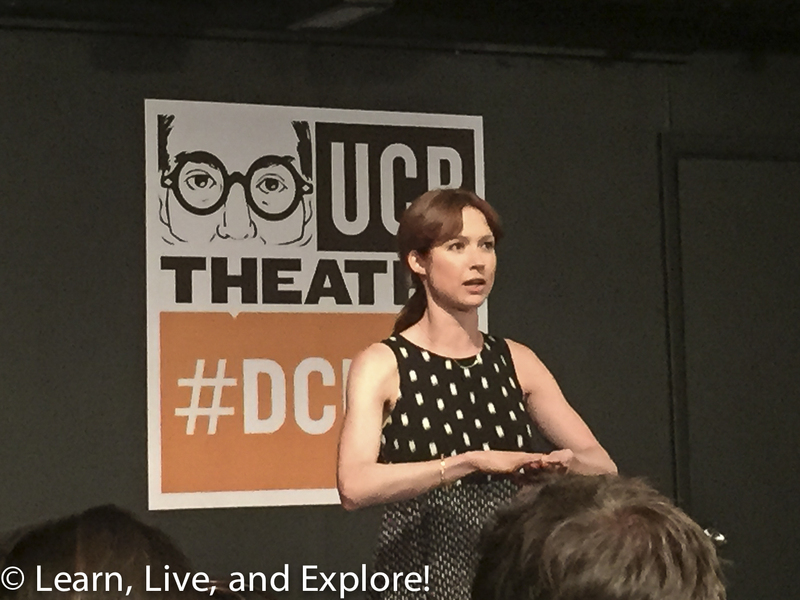 They were followed by a duoprov that starred Ellie Kemper from "The Office," "Unbreakable Kimmy Schmidt," and "Bridesmaids" and her friend, Christina Gausas. After the two finished their set, a huge team of people came on stage to form The Law Firm - a UCB NYC troupe. 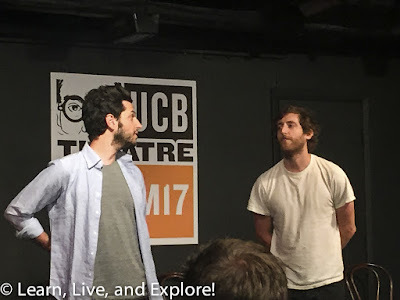 This performance included special guest appearances by Thomas Middleditch (Silicon Valley) and Adam Pally (Happy Endings, The Mindy Project). The first block of UCB Chelsea shows ended with a hilarious duoprov with Middleditch and Ben Schwartz (Parks and Recreation, House of Lies). Their half hour ended up with a ridiculous hat stacking competition (yes, and!) that put the two into escalating physical situations in the scene to see who would lose their hat stack first. 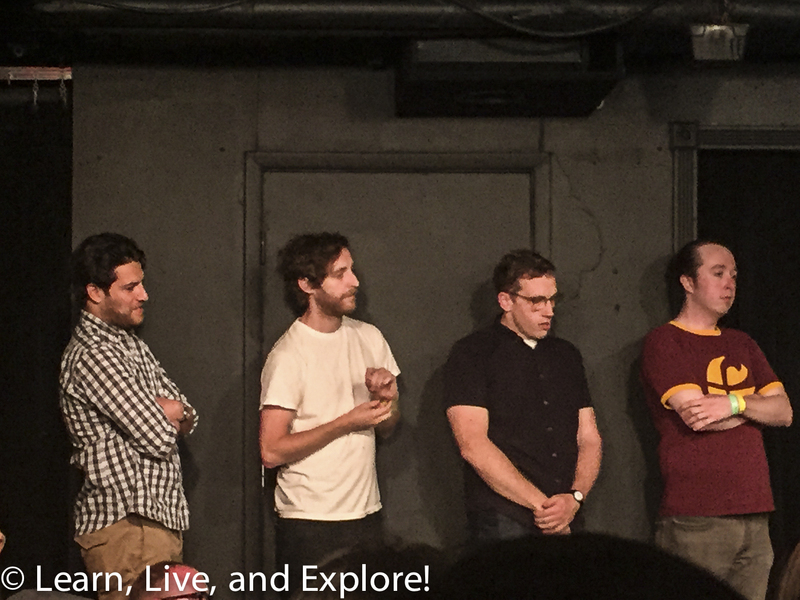 Thomas Middleditch came out as the clear winner there with incredible (cranial?) balance! "Hat me!" 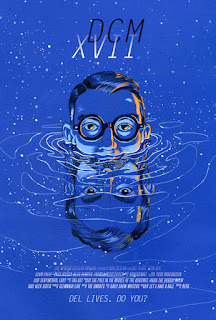 With everyone kicked out of the theater for cleaning, and a huge line waiting outside for the next block, it was time for me to walk three blocks to the SVA Theater where some of the premium shows were being held. 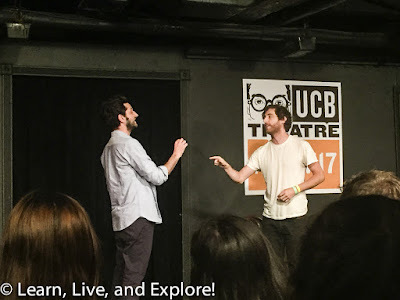 I had tickets to see UCB LA's Convoy (with special guests: Thomas Middleditch and Jason Mantzoukas) and, what was billed as, The Cast of Silicon Valley but was really Middleditch and Zach Woods. 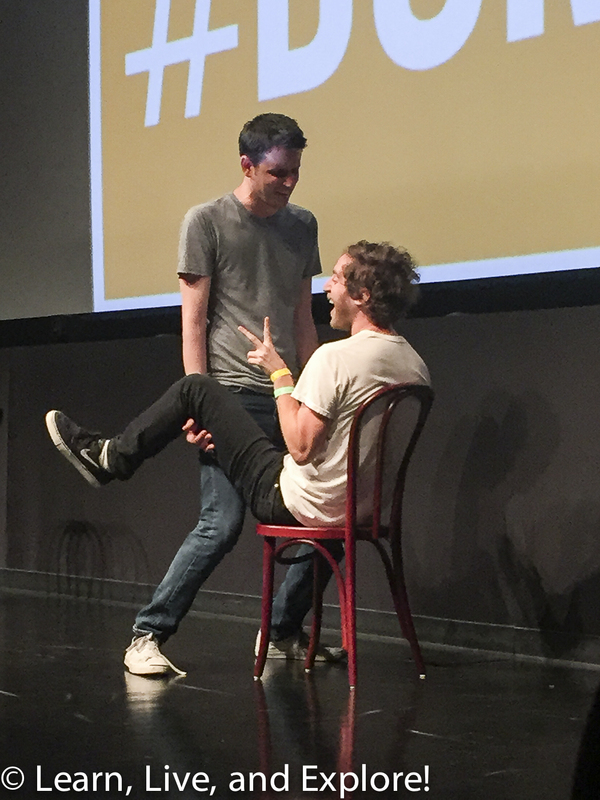 Despite the lack of the other SV cast members, those two put on a fantastic performance that included a crazy hotel manager, three demons in the same scene played by Middleditch, the birth of a demon spawn, a reanimated special needs kid, and so much more to delight your funny bone. Convoy successfully had the audience laughing as they put five friends, away on a guys weekend, on one giant improvised jet ski that took them to a ridiculously expensive boat and ended in a horrifying tubing accident. Mantzoukas was perfection when it came to playing the straight guy in the scene always clarifying and validating the ridiculous. 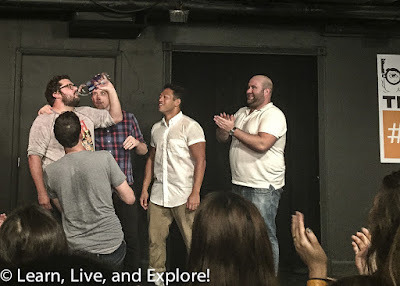 It never ceases to amaze me what an intelligent and comedically inclined imagination can create if given the opportunity and support in an improv scene. Really inspiring! The plan was to get to more shows on Saturday night, but we were foiled by the rain gods and our lack of preparation. The lines for the theaters were long for the blocks of shows we wanted to see that fit in with our non-DCM NYC schedule. 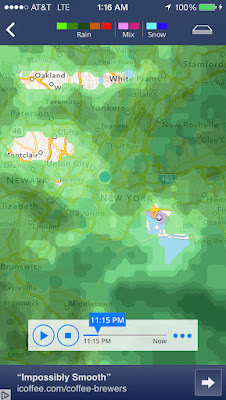 It was also pouring rain and cold - not a typical late June scenario and I was wearing flip flops (= cold and wet feet). We were monitoring the line situation on Twitter until 2am Sunday morning, as well as the weather radar. Both were not good enough odds to compete with our comfy hotel beds. 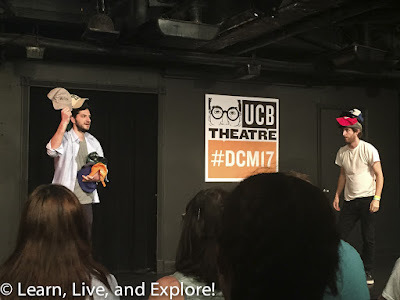 So, while one can argue that I didn't have a full DCM experience, I have to say that for my first time at the marathon, my improv comedy needs were pretty satiated. I came home very satisfied with the entertainment experience and inspired as well. 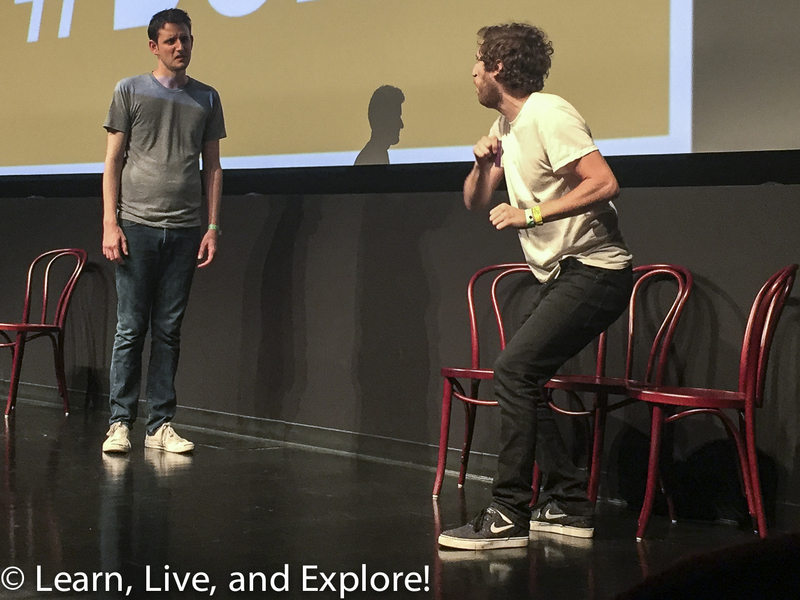 Plus, it didn't hurt that I ran into Ben Schwartz, Ellie Kemper, and Thomas Middleditch in the theater lobby. Not surprisingly, they were the nicest people and didn't mind taking the time to talk. I honestly think that is because of their roots in improv comedy, where the fundamental behaviors are to show support, embrace agreement, and be a team player. It's easy to be humble and hard to be mean when you're a member of the improv community - regardless of the level of fame and success. 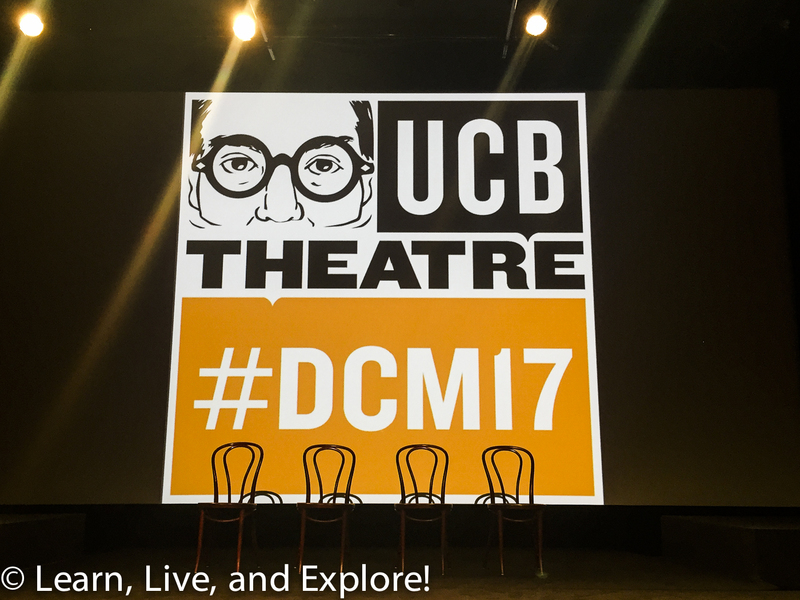 This Del Close Marathon may have been my first, but I know it will not be my last!